I just had a Renaissance moment, a real eureka moment. My friend Matt and others will say "jeez, he is only realizing that now?" I am not a trained professional engineer or builder, but I have some experience. 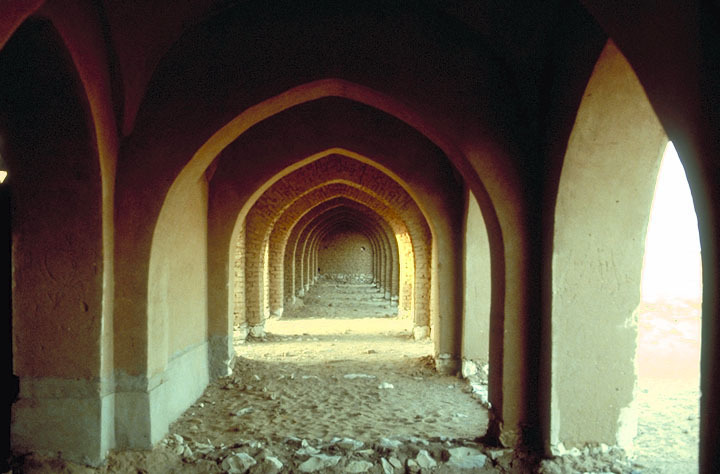 All my arches and vaults are semicircular or catenary curves. Vaults I build without centring, and but arches over openings with centring, as i need a wall to "glue" the bricks. Like the first arch below. IF I USE POINTED ARCHES (middle type) IT WILL MEAN THE LAST BRICKS WILL BE MORE VERTICAL INSTEAD OF HORIZONTAL! Pointed arches are like the second arch above and this one below. 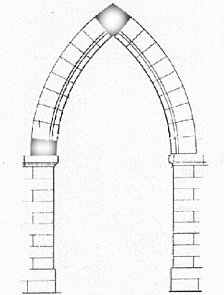 I see it all the time in pictures but it just dawned on me now that it will make some vaults easier, as the curve stays more vertical, hence less gravity pulling it down before the arch is closed! Jeez Matt why didnt you yell at me? Your latest WTO has pointed in it! I see some issues as they will require greater height in arches over doors. 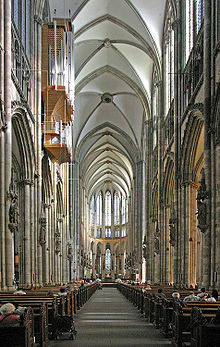 So my groined vaulted rooms will look like this maybe. I mean look how steep that is! Is this the new look on my buildings? quite right, I wouldn't of heard or listened. It needed me to be ready.